Use Cousin Emily’s Pasta Drying Rack to hang strands of freshly made pasta, to keep them from sticking together before cooking. The rack is very useful for preserving pasta for future use (to be cooked other than the same day it’s made). Let the strands dry thoroughly and freeze in an airtight container. Or remove the drying strands from the rack while they are still pliable and loosely fold them into nests, which take up less space in the freezer. Flour as necessary to keep strands from sticking. Drying time will vary depending on the type and thickness of the pasta and the amount of humidity in your kitchen. 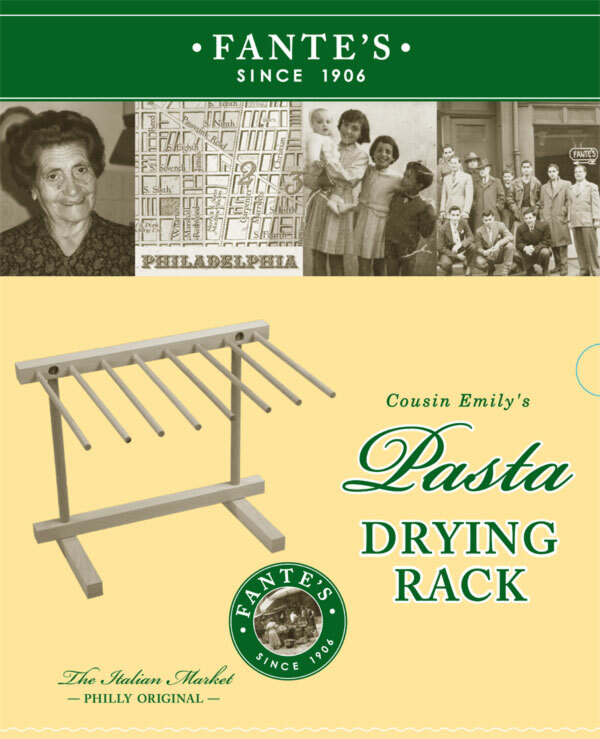 Cousin Emily’s Pasta Drying Rack sets up quickly and folds flat for compact storage.